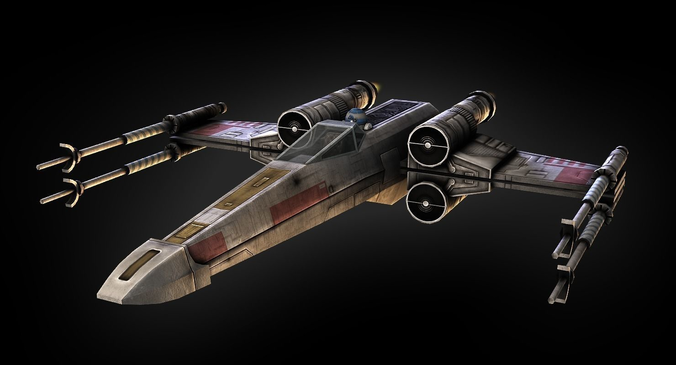 Low poly yet highly detailed model of an X-Wing fighter from the famous Star Wars franchise. Model is intended for games and real time applications. The product comes with a low poly version of R2-D2 as well as a fleshed out cockpit. The R2 unit comes in 3 different colors. Model is rigged and named. The presentation images with the alternate lighting scheme show how the model will look in a game engine.